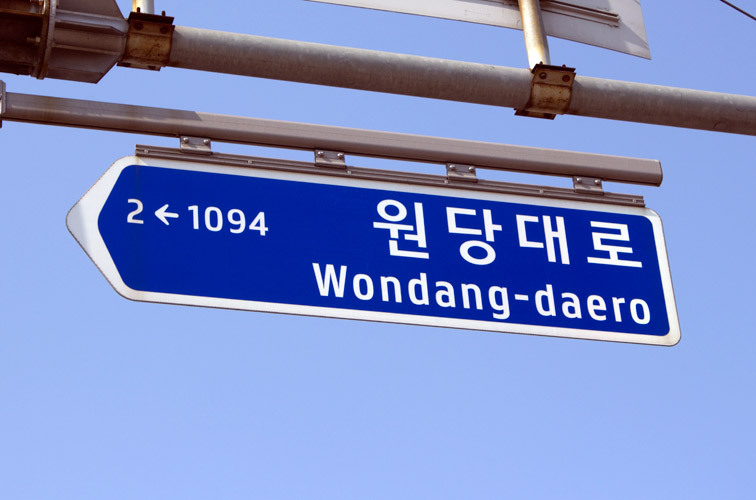 Cakelab - New pictures of Hangil E-type used on street signs of Seoul! Erik de Vlaam went to South-Korea and gave me a large amount of pictures showing street signs in Seoul! I am very happy! I’m just showing two of the new pictures here. I will add more pictures to the Hangil E-type page later.